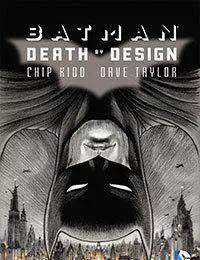 In this new original graphic novel from superstar writer/designer Chip Kidd and artist Dave Taylor, Gotham City is undergoing one of the most expansive construction booms in its history. The most prestigious architects from across the globe have buildings in various phases of completion all over town. As chairman of the Gotham Landmarks Commission, Bruce Wayne has been a key part of this boom, which signals a golden age of architectural ingenuity for the city. And then, the explosions begin. All manner of design-related malfunctions-faulty crane calculations, sturdy materials suddenly collapsing, software glitches, walkways giving way and much more-cause casualties across the city. This bizarre string of seemingly random, unconnected catastrophes threaten to bring the whole construction industry down. Fingers are pointed as Batman must somehow solve the problem and find whoever is behind it all.